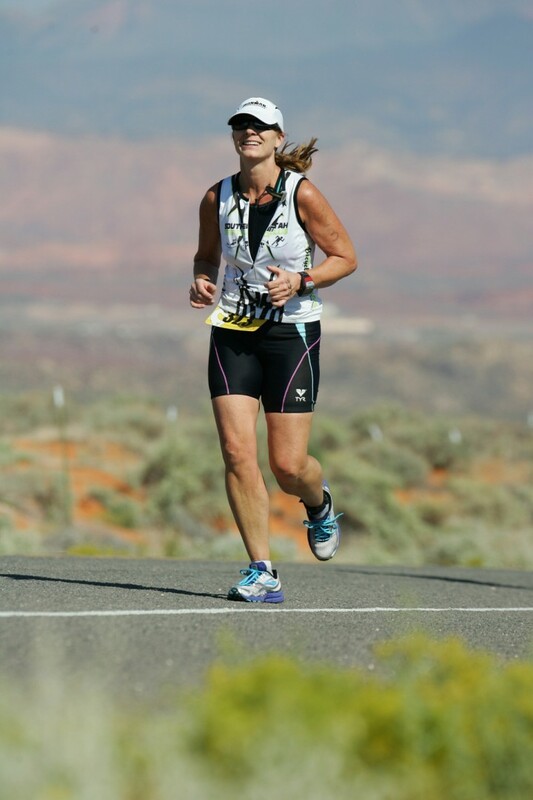 FEATURE – Have you ever dreamed about competing in a triathlon but thought, “there’s no way that I could possibly do it?” Many people just like you have had that same dream, and then just months later completed their first race. Whether it’s about reaching deep into your soul and believing in that dream or using it as weight management, you can do a triathlon. You’ll need some basic equipment to get going, including goggles, a bike and helmet, running shoes, a swim cap, biking shoes and proper athletic clothing for swimming, biking and running. Select a race and figure out how many weeks you have to train. Is the swim in a pool or open water? What is the total distance of the race? Common triathlons are categorized as “sprint,” “Olympic” and “ultra” distance. Develop a training plan by either hiring a triathlon coach or getting a training plan online. Based on your goals, make sure that your training plan meets your time availability and your strengths and weaknesses. Your plan should include base training and speed and endurance work, along with some drills. Make sure that you have a bike that fits you and your needs. I use High Knees Cycling because they are the only local triathlon-specific bike shop. The bike fitters are certified and make sure that you are dialed in to be efficient on your bike, maximizing your power and eliminating injuries. Fuel your body with the right nutrition. Many athletes race so they can eat the foods they want. I recommend that you look at your food as fuel and eat healthy so that your body will feel good while you train. Hydrate, hydrate, hydrate! Plain old water does the trick if your training is less than two hours. Listen to your body, and use electrolyte tablets or sports drinks if you are a heavy sweater or exercise in the heat. Dehydration is a big problem among triathletes, and electrolyte imbalances can cause some serious health issues. Hydration is very personal and you need to become aware of your body and its needs. Think positive! I tell my athletes, “the difference between ‘I can’ and ‘I can’t’ is what you tell yourself, because either way you are right. What are you telling yourself right now?” The mind is a powerful force and can stand in the way of your dreams. Just as you train the body, you need to train the mind. Warning! Triathlons can cause an increase in self-esteem, energy levels and improved health. Ed. note: This article was first published in substantive part in the July-August 2013 issue of St. George Health and Wellness magazine. An ACE-certified personal trainer and group fitness instructor, Gust helps clients from all over the world achieve their goals by encouraging a healthy, active lifestyle. Specializing in kickboxing, Power Pump, water aerobics and spinning, she has been in the fitness industry for over 20 years. Currently, she works at The Biggest Loser Resort at Fitness Ridge. 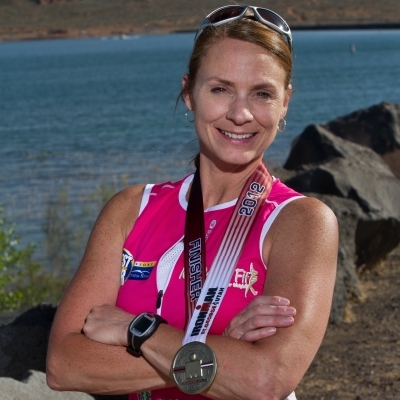 Gust has competed in over 50 triathlons, most recently the 2012 Ironman St. George. She is a mother of three, and understands the importance of balancing her time and being efficient. She enjoys photography, swimming, cycling, dancing and spending time with her family. I tried Triathlons for a while. Seemed all my time was spent on working my job or training for triathlons. Everything I ate or drank became a concern of how it impacted my training or how it would affect my performance in the next triathlon. Since my non-work time was spent on training for triathlons, my social conversations was only with those training for triathlons, how long they train, what they eat and of course, how they performed in their last triathlon. Life got very boring. So I quit the Triathlon life. Life is more fun interacting with a diversity of friends with a diversity of interests. As my mom used to say (and I bet many other moms),: If you don’t have anything nice to say, don’t say anything at all. Chances are I will probably never do a tri, but I am not taking away from all the athletes that do and that I admire.